We recently joined a group of friends who had organized a week’s bushwalking at Phillip Island located 140 kilometers south-east of Melbourne. The island formed part of those lands inhabitated by the coastal aborigines called the Bunurong people and was discovered by George Bass in 1798 in his whaleboat measuring only 28 feet in length. It now has a permanent population of 7500 residents and a large variety of migartory birds and native animals. 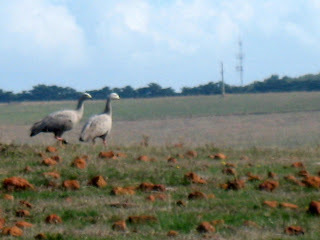 The pictures were taken during a number of beautiful walks across and along the shores and include pictures of 2 Cape Baron Geese. 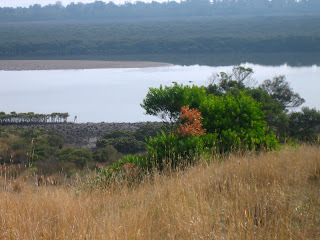 The Island has abundant wild life including Wombats, Kangaroos, Koalas and many migrating birds such as the Shearwater. These reamakable birds fly north along the western part of the Pacific Ocean to the Arctic region and return southwards through the centre of the ocean, travelling 15 000 kilometres in each direction annually. They have been known to fly this distance in just six weeks. 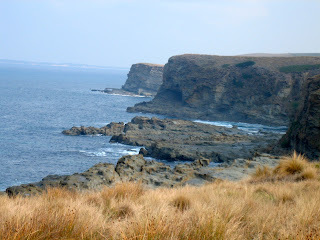 Our walks were across interesting bushland and on the coastal routes you viewed the roaring surf from steep cliff tops and then to descend to the relative tranquility of more sheltered bays. There was also seals and the penguin parade which is a popular tourist attraction. We returned earlier than expected as my wife (who had not joined in the walks due to recurrent hip and back irritation) suffered a particually acute attack and has now been hospitalized and will probably undergo surgery very soon. But it sounds as if you are. like a very interesting island. I too was very sorry to hear about your wife's medical problem and will be among the many friends sending her good thoughts for a speedy recovery. The pictures are wonderful. I hope you'll both return there soon for all the time you need for exploring or just plain relaxing. wow! just wow! beautiful photos. very sorry to hear your wife is seriously ill. wishing her many blessings, and a speedy recovery. Funny, I always think of Phillip Island as an extension of Tassie. Of course there are so many similarities with the other Bass St islands. All special places. I don't know what to say Lindsay. 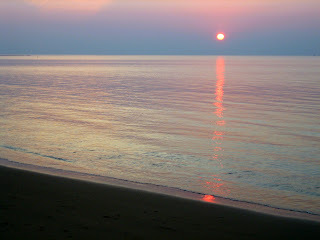 I enjoyed your post and all, the pictures and description. But your wife's condition worries me. Hope there is a positive approach SOON. Many thanks for your comments and best wishes in relation to my wife. She is now under the care of 2 orthopaedic surgeons,one specialises on hips and the other backs. They are collaborating on the best immeadiate course of action which I think is most definitely in her best interest. An exciting place it appears to be. Best wishes to the missus. Thanks for your thoughts - my wife is curently recovering for a back operation, I hope she will be okay after a period of rehab.